MINNETONKA, Minn. (MuseWire) — Minnetonka Audio Software ships AudioTools(TM) Batch Pro(TM), an out-of-the-box application that will revolutionize the way audio assets are managed and processed. Batch Pro is the industry’s first fully automated processing tool for audio assets. ONTARIO, Canada (MuseWire) — ASK Video Interactive Media, known for their high-quality DVD training on music software products, has begun shipping Sibelius Tutorial DVD Level 2, The second installment in a series of ultra-high quality DVD courses designed to train composers, musicians, students, and educators on Sibelius. RECIFE, Brazil — D’Accord Music Software, the Brazilian leader in music software, announces an innovative software – iChords – that recognizes and presents chords from any MP3, WMA files or CDs. iChords was also recently nominated for the “Best Sound Program” at the 2007 Shareware Industry Awards (SIA) and is competing with three other software programs, including Winamp. HOUSTON, Texas — Pitch Control TV launches two new DVDs and announces a new and exciting Internet television show that is designed to entertain and entice Hip Hop music lovers, nationwide. Based in Houston, the focus is primarily on southern artists, but Pitch Control TV also showcases independent and major-label artists, coast-to-coast. CAMBRIDGE, Mass. (MuseWire) — IZOTOPE, INC. today announces that Mixed In Key, maker of the leading DJ tool for harmonic mixing, has licensed iZotope Multiband Compressor and IRC Limiter technology for a newly released product, Platinum Notes, a program that “heals” your music by analyzing MP3 and WAV files and correcting areas that need improvement. SAN DIEGO, Calif. (MuseWire) — mTraks, Inc. announces the official launch of its public beta website, now open. mTraks(TM) is a killer social music community and digital music marketplace. mTraks has raised $550,000 from a consortium of private angel investors and is represented by Wilson, Sonsini, Goodrich & Rosati. SEATTLE, Wash. (MuseWire) — Amazon.com (NASDAQ: AMZN) today announced it will launch a digital music store later this year offering millions of songs in the DRM-free MP3 format from more than 12,000 record labels. EMI Music’s digital catalog is the latest addition to the store. Every song and album in the Amazon.com digital music store will be available exclusively in the MP3 format without digital rights management (DRM) software. DALLAS, Texas — Roemtech, LLC (www.roemtech.com) has announced the availability of their innovative PlenumAmp (PMA-240). It is designed and approved for above-ceiling installations. It allows the end-user to have an audio amplification system that is easily concealed. Commercial environments such as school classrooms and business meeting rooms with data projectors need an amplifier that provides clear, powerful sound without taking up excess room. This product fills that need without sacrificing power or clarity. NEW YORK, N.Y. — On Saturday, May 26th at 7:00 p.m., Steve Urban, native New Yorker and ground-breaking musician, will celebrate the 66th birthday of musical legend, Bob Dylan, at Kenny’s Castaways, a well-known Dylan hangout on Bleecker Street in Greenwich Village. Urban will honor classic Dylan tracks combined with original instrumentation. TORRANCE, Calif. — Send2Press(R), a leading targeted newswire service, announced today it has joined the sponsors of the 12-week Battle of the Bands, hosted by A&R Select, the music industry’s benchmark in independent promotion and marketing. Over 80 local and regional bands will perform for an industry panel of well-known record labels, music supervisors, managers, music directors, and publishers. Other sponsors for the event include Music Saves Lives and Sam Ash. WESTLAKE VILLAGE, Calif. – Academia has long been synonymous with the search for truth. This not only applies to the likes of history, law, and physics, but also to the craft of recording, producing, and performing music. ADAM Professional Audio is quickly becoming the speaker of choice for teaching students about the importance of “truth” in audio education. CAMBRIDGE, Mass. — IZOTOPE, INC. today announced that it has licensed mastering technology to Sony Creative Software for the latest version of the Sound Forge 9 professional digital audio production suite. 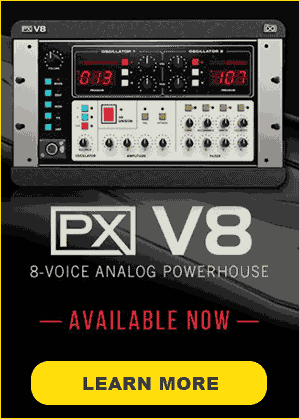 Sound Forge 9 is now available. MINNETONKA, Minn. — Minnetonka Audio Software President, John Schur will be giving a presentation on Audio Workflow Architecture at the Vienna AES Convention. With more than twenty years of successful audio software application development and contract software engineering, Minnetonka Audio is defining a new standard for high quality, high productivity audio processing. LOS ANGELES, Calif. — Georg van Handel (CEO) and Chris Honetschlaeger (President) with BETA Records, LLC, announced today that they will partner with Digonex Technologies, Inc. to provide dynamically priced music downloads for their listeners. Digonex’s proprietary pricing service, the Digital Online Exchange (DOE), will determine the price of each individual track based on consumer demand and other economic factors within BETA’s upcoming social music community. LOS ANGELES, Calif. — Native Instruments is excited to announce that TRAKTOR SCRATCH is now available in stores worldwide. Additionally, Native Instruments is just about to kick off the TRAKTOR SCRATCH US Tour, a special workshop tour that presents its just-released digital DJ system. Beginnning on May 4th, the month-long tour includes 18 dates, with clinics being held in local music stores in nearly all major US cities. HOLLYWOOD, Calif. — Georg van Handel (CEO) and Chris Honetschlaeger (President) with BETA Records, LLC, announced today that they will partner with Javien Digital Payment Solutions, Inc. to provide a complete solution for the sale of music, merchandise, and other content from their artists within BETA’s upcoming social music community. TOLUCA LAKE, Calif. — The National Association of Record Industry Professionals (NARIP) announced this week a variety of upcoming music industry events, including top producer songwriter Derek Bramble at NARIP’s Producing Hit Songs series in L.A. on May 18th, and Modern A&R with Joe Poindexter in Phoenix on May 19th. SANTA MONICA, Calif. & EMERYVILLE, Calif. — Yahoo! Music (NASDAQ: YHOO) and Gracenote(R) today announced a new licensing deal allowing Yahoo! Music to offer the largest catalog of legal, licensed song lyrics from Gracenote to Yahoo! Music’s consumers. Beginning today, song lyrics for hundreds of thousands of songs from all five major publishers will be incorporated into Yahoo! Music through Gracenote’s growing database. TOKYO and OAKDALE, Minn. — Imation Corp. (NYSE: IMN) and TDK (NYSE: TDK) announced this week that they have reached a definitive agreement under which Imation will acquire TDK brand world wide recording media business and use of the TDK brand name for recording media products. ST. PETERSBURG, Fla. — TrueFire.com, a leading provider of online guitar lessons and interactive courses, is now shipping Marc Schonbrun’s Geek Guitar, an interactive video course designed to bring the latest technology to guitarists for recording and performing. SEATTLE, Wash. — iLike, inc, the six-month-old social music discovery service, announced today that it has surpassed one million registered users and is now processing over 200 million monthly track plays based on enabling users to log their listening habits on their iPods and PCs. The company also announced new concert-discovery features with event listings provided by Ticketmaster. COLUMN: CHAPTER TWO: Outline of Producing a Show — Choosing to create your own Podcast can be approached in several ways, which will vary depending on your goals. For the kinds of Podcasts we’re going to cover, it’s generally assumed you have a personal computer with an Internet connection, which would be the primary necessity for the typical form of Podcasting. REVIEW: You can never be too rich or have enough disk space, or be too paranoid about data back-up. In recently deciding it was time to do some back-ups of audio and imaging projects, and other valuable docs, and put them in a fire-proof safe, after somebody’s house burnt down nearby, I chose to look at external hard drives. 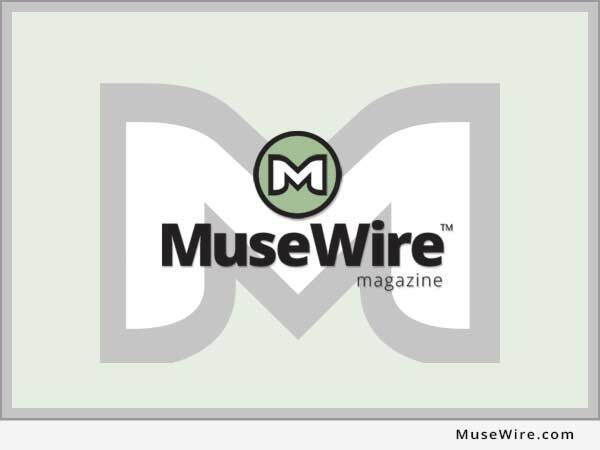 LOS ANGELES, Calif. — If you are an unsigned music artist, BETA Records invites you to a special event May 1st at the Sunset Strip Key Club as part of MUSEXPO 2007, the annual gathering of the world’s leading music executives, producers, managers, and new media content experts. NEW YORK, N.Y. — SoJo Artist Management is pleased to announce the recent signing of New York based Live Society. Hot off their New York win of Bodog’s $1 Million Battle of the Band competition, the band is ready to take the world by storm. Representing a modern day twist on the R&B and Classic Pop sound, Live Society’s danceable grooves and rich harmony driven songs are sure to appeal to all ages. LOS ANGELES, Calif. — BETA Records Mexico announces additional international expansion which follows the success enjoyed by U.S. and German sites of the online record company headed by founders Chris Honetschlaeger and Georg van Handel. BETA Records actively finds, produces, and showcases unsigned artists and distributes content to fans via digital channels. HOLLYWOOD, Calif. — A&R Select, the music industry’s benchmark in independent promotion and marketing, is currently hosting an online Battle of the Bands competition held at BB King’s Bar and Grille, located at Universal CityWalk. Over 80 local and regional bands will perform for an industry panel of well-known record labels, music supervisors, managers, music directors, and publishers. NAB 2007 – Las Vegas — ADAM Audio, a leading provider of top quality professional audio reference monitors, announces the NAB debut of its A7 near-field monitor. This active, 2-way reference tool offers broadcast engineers, production directors, producers, and talent the most accurate audio reproduction available today. JAMAICA, N.Y. — The Jamaica Center for Arts and Learning (JCAL) is pleased to present “A Jamaica, Queens Thing”: Rap and the Crack Era in South Jamaica, organized by guest curator Herb Tam. The opening artist reception takes place Saturday, April 14, 2007, 4 – 7 pm.